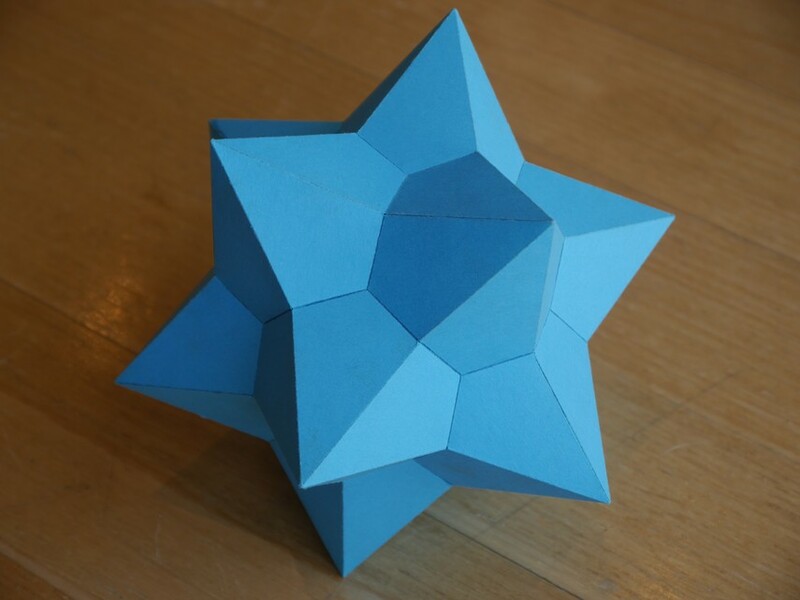 Dual of the dodecadodecahedron, and a stellation of the rhombic triacontahedron. This model could really have done with some sort of internal support, and is quite flexible without it. Here's a topological version. In this version parts of each face have been cut away so that only faces that truly share an edge are still connected. Where two faces would normally intersect to cause a false edge, now they weave through each other without collision.